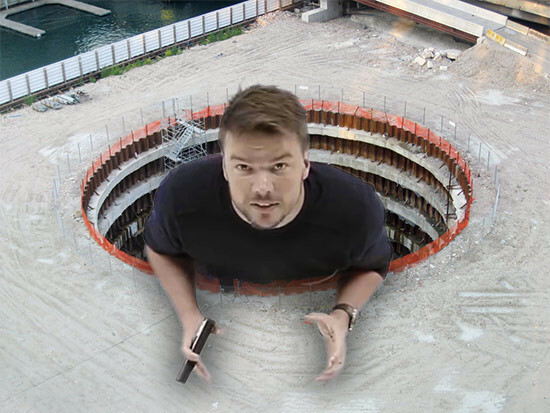 Eavesdrop> Chicago’s Crater: Is Bjarke Ingels working on a scheme at the Chicago Spire site? Since 2008, there has been a giant hole where Santiago Calatrava’s Chicago Spire was supposed to rise some 2,000 feet out of the ground. The project lapsed due to financial woes by Irish developer Garrett Kelleher. 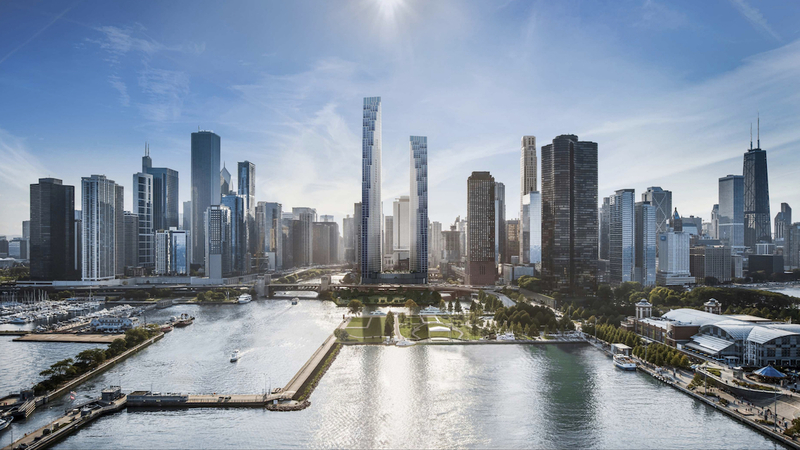 The foundation is in place, and it looks like a place where a giant swimming pool or music venue would fit nicely, but AN is hearing that developers are working with Bjarke Ingels' Danish firm BIG on a possible Spire part to. The Chicago skyline is one of the most impressive in the country. 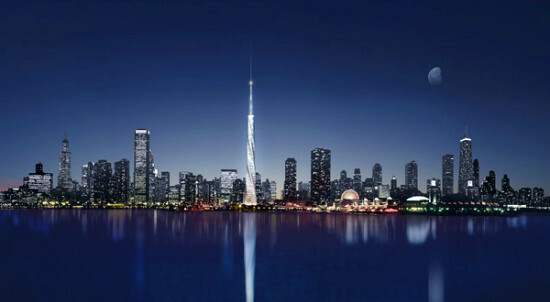 Those who dreamed of a twisting new tower at its pinnacle, however, will have to turn to new skyscraping schemes. 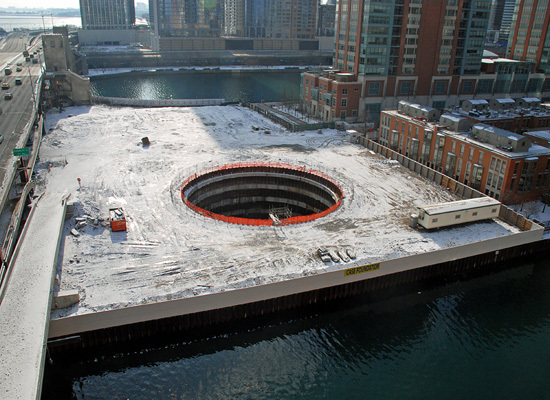 The Anglo Irish Bank is seizing control of the stalled Chicago Spire’s site from Shelbourne Development. This detailed feature on the rise and fall of Santiago Calatrava’s unbuilt tower in the Irish Independent calls the project’s developer, Garrett Kelleher, emblematic of the jet-setting “Irish Tiger.” In today's real estate environment, that label sounds more like slur than a compliment. 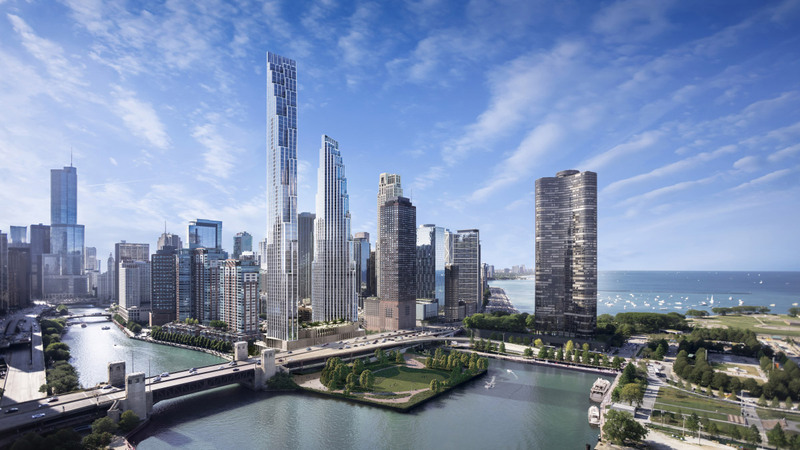 According to Crain's Chicago Business, major construction unions will not be loaning funds to restart the Chicago Spire, as many had speculated. 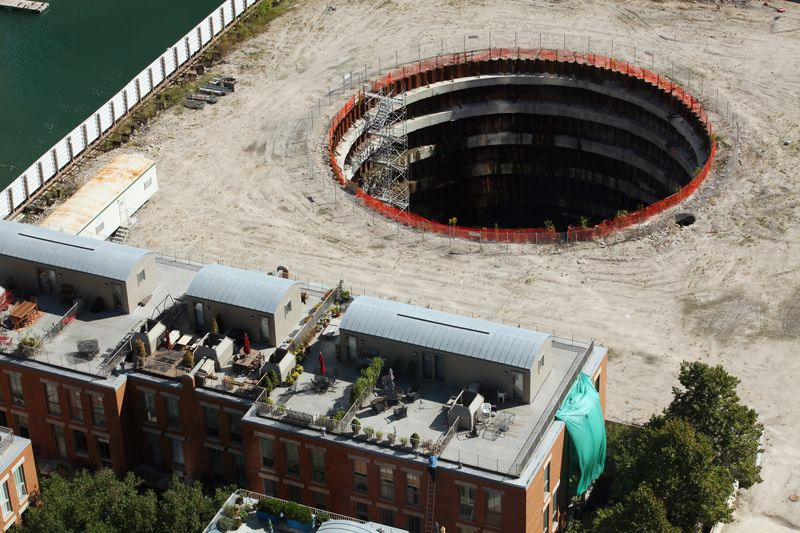 The union pension funds are feeling cautious, much like other lenders, so the Spire, which was always an ambitious project, remains a high risk bet. Who will the developers turn to next?